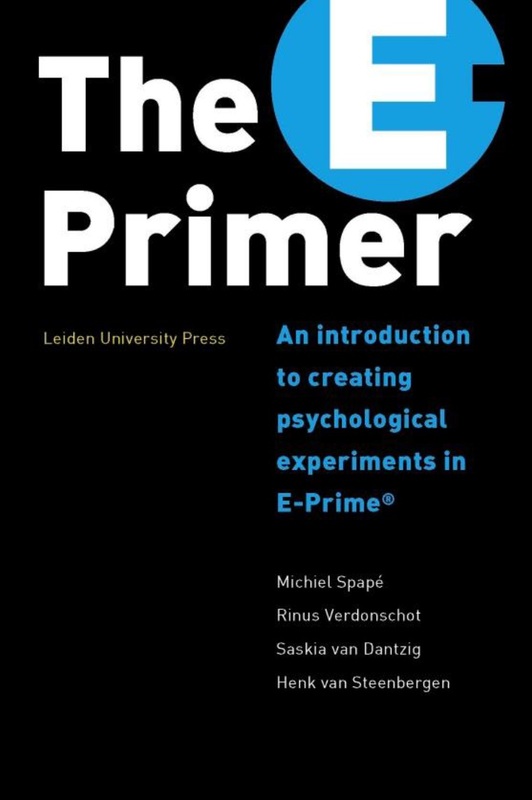 E-Prime, the software suite by Psychology Software Tools, is used for designing, developing and running custom psychological experiments. Aimed at students and researchers alike, this book provides a much needed, down-to-earth introduction into a wide range of experiments that can be set up using E-Prime. Many tutorials are provided to teach the reader how to develop experiments typical for the broad fields of psychological and cognitive science. Apart from explaining the basic structure of E-Prime and describing how it fits into daily scientific practice, this book also offers an introduction into programming using E-Prime’s own E-Basic language. The authors guide the readers step-by-step through the software, from an elementary to an advanced level, enabling them to benefit from the enormous possibilities for experimental design offered by E-Prime. Please read about the important changes in E-Prime 2.0.10.x and keep a copy of this summary in your book. Michiel Spapé is postdoctoral researcher at the Helsinki Institute for Information Technology. Rinus Verdonschot is a postdoctoral researcher at Nagoya University in Japan. Saskia van Dantzig works as a senior scientist at Philips Research. Henk van Steenbergen works as an assistant professor at Leiden University.